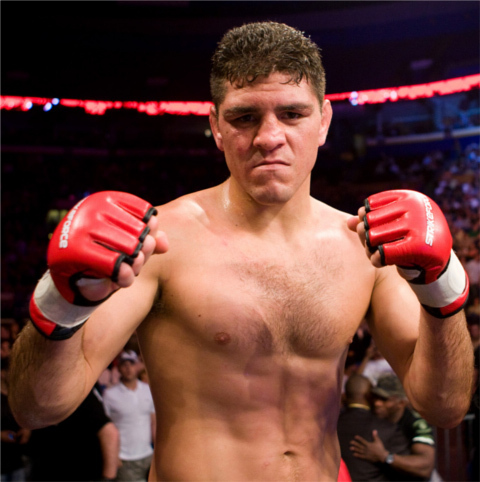 If fans would ask Dana White on who's the best MMA fighter outside the UFC for him, he would say Nick Diaz. Surprised? It’s possible that a fan’s list of best MMA fighters might not include someone outside the UFC. It is also safe to say that Dana White’s list wouldn’t have one either. But last Wednesday in Toronoto, Dana White was asked to name the best fighter that is not under the UFC banner. The UFC President’s answer? Nick Diaz. If words are not enough, you can check out the video below and hear it from Dana White himself. The “crazy stuff” Dana White is talking about is well documented. It ranges from Nick Diaz failing to show up for a drug test, making fights get cancelled, to being suspended by the Tennessee Athletic Commission due to a post-fight brawl last year. But it should also be noted that the “crazy stuff” mentioned was not the reason Nick Diaz left the UFC. He was on a two-fight winning streak in the promotion when he left, because he thought there’s a greener pasture elsewhere. In fact, Nick Diaz anchors a 6-4 record in his resume before he left UFC four years ago. Nevertheless, the question of who’s the best pound-for-pound fighter outside UFC can fire up a debate in any event. That being said, who’s your pick for the best MMA fighter outside the Octagon?